We were half way mark through our itinerary during our 12 days trip. Here we were back to Kyoto, our 'base camp'! Kyoto, one of the scenic prefecture in Kansai region. 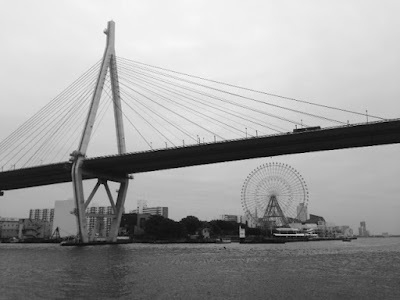 It was used to be the capital of Japan before Tokyo took over. Despite it was culturally riched with numerous temples and shrines that were absolutely well preserved and many were named UNESCO sites, Kyoto seemed to be overshadowed by Tokyo. 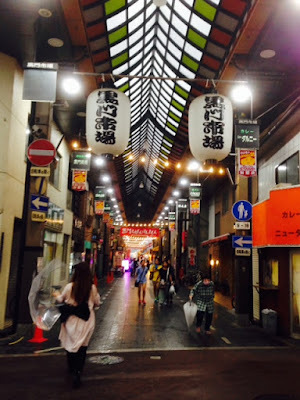 The nostalgic charm of Kyoto streets and towns was such as lovely place to visit and yet without compromise towards modern infrastructures and facilities that brought much convenience and cleanliness to the people and country. 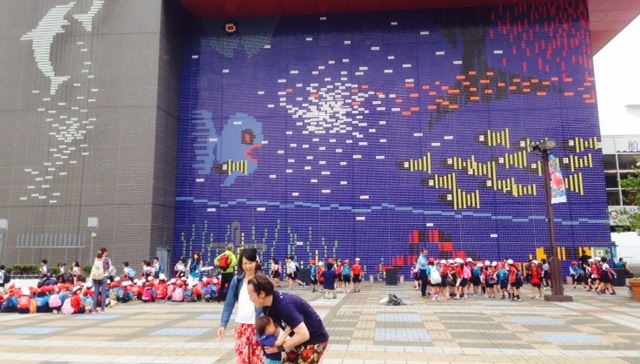 The first day we arrived in Kyoto station en route to our hotel, we passed by Kyoto Cycling Tour Project (KCTP). We checked out their rental bikes as well as the weather forecast for the rest of the week. The staff we met was really friendly and helpful. Most importantly, she could converse in fluent English. Kyoto is fairly easy to cycle around due to its flat terrain apparently. She was kind to give us a map and, suggestion to cycle along the Kamo River. Therefore, we were back to the shop as promised because it was the only sunny day with the rest of days forecasted to have some rain. Here in Japan, the most common bicycle type at rental shops were 'mamachari' (aka mom's bicycle) equipped with a basket. At KCTP, my son unfortunately, at 1.3m tall could not find a bike that he was comfortable with. 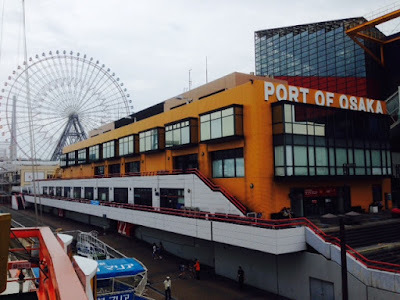 It spoiled our original plan to cycle to Coin Laundry Sentakukan, the Kujo store with a large bag of dirty laundry. We were rather dismayed and unexpected by the fact that there was not much choice for kid's bike at KCTP. Hence, we moved on to have our breakfast first at the Japanese coffee chain - Inoda coffee at Kyoto porta. The coffee was bold and acidic not to my liking. However, the breakfast was sumptuous and filling. We felt energised and ready to walk to the laundromat. Lady luck was smiling at us! 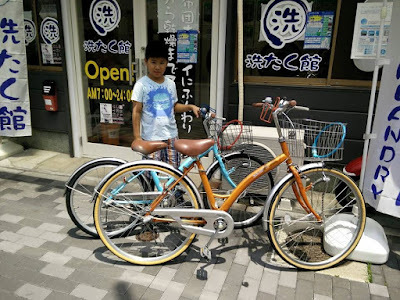 We found another rental bicycle shop, Kyoto Eco Trip, on the way. We finally got all our bikes! Yippee!! Meanwhile, I have to get all the clothes washed first. 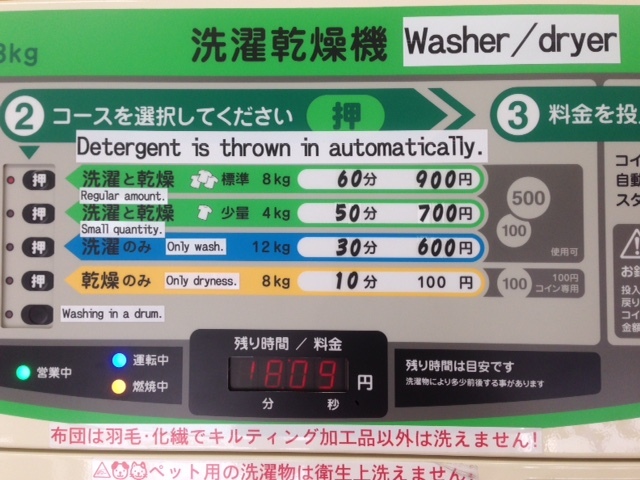 The coin laundry at Sentakukan was small but clean and easy to operate. Put in the exact amount of coins and the machines did everything. I made a mistake of stuffing too many clothes and some of which were only partially dried. 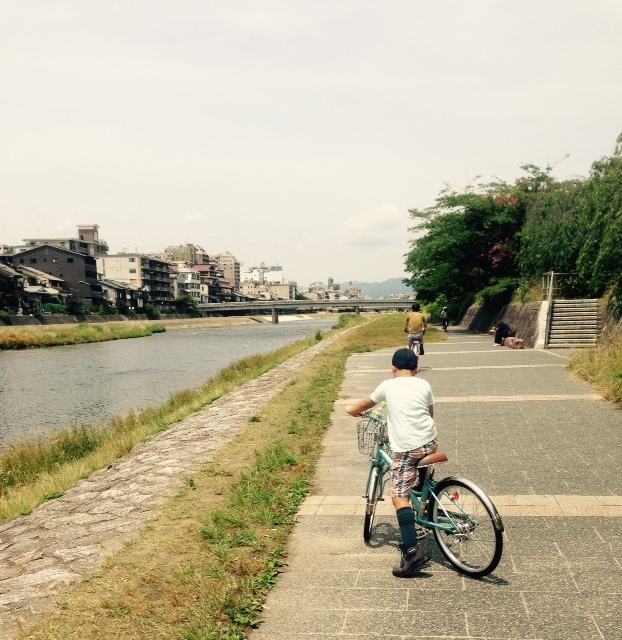 Cycling along the Kamo river (or Kamogawa 鴨川,) ) was a breeze but it was pretty hot at noon. Couples of locals fishing at the riverbanks and a few birds frolicking by the river. On the other side of riverbank, there were restaurants with open balconies called yuka for outdoor dining. Very inviting indeed! We dropped by Pontocho but was quiet and nothing much to see compared to Gion. We then rode towards Kyoto downtown. Since, we would be shopping and eating there, we parked our bicycles at a designating bicycle park (which I had no clue since I had very bad sense of directions). It was difficult to figure out the instructions in Japanese language on how to operate the bicycle lots machines. Fortunately, Papa has a knack for machines and, our bicycles were safely locked and secured. 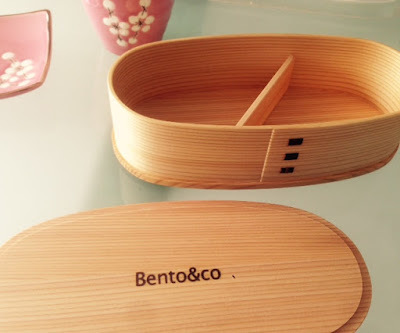 One of the reason I wanted to visit Kyoto was to drop by Bento & Co store which located near Teramachi, among the shopping arcades. Surprisingly owned by a Frenchman (not Japanese), Thomas Bertrand, an entrepreneur who started an online shop initially and later, a brick and mortar store was set up in the city of Kyoto. Probably a bento lovers' thingy and therefore, a must visit for me! 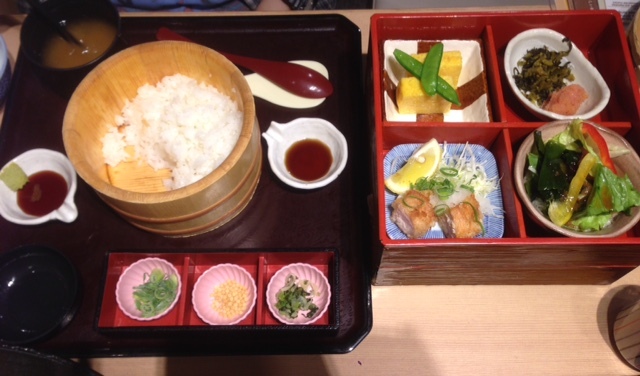 I was fascinated with their bento boxes and accessories and the best thing - it was not crowded that afternoon. Needless to say, I bought a couple of their bento boxes. One of which was the 'Original Magewappa', handcrafted from Japanese cedar wood with their brand name on the inner lid. The smell of cedar was absolutely divine! Our stomach was rumbling loudly from cycling then. Lunch was a simple affair of Japanese udon and oyakodon around Teramachi. 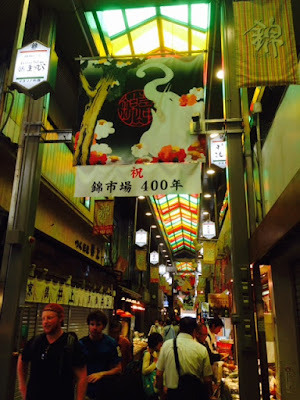 With our hunger pangs fixed, we strolled the 400 years of Nishiki market (錦市場). The latter was a narrow and long shopping street that got our mouth watering too over the food shops there as you could see the pictures below. We just could not resist Japanese soft serve ice cream and the too-cute-to-eat tako tamago. Another eventful day! Papa and myself ended up with a few more shopping bags back in our hotel. My son was complaining at our shopping spree. 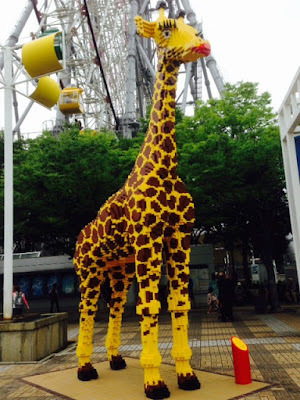 To be fair, we promised to take him to Osaka Aquarium (Kaiyukan) the next day. We love Japanese food. The presentation was tasty enough to whet our appetite. Look at the condiments we had below for our dinner at Kyoto Yodoshiba! 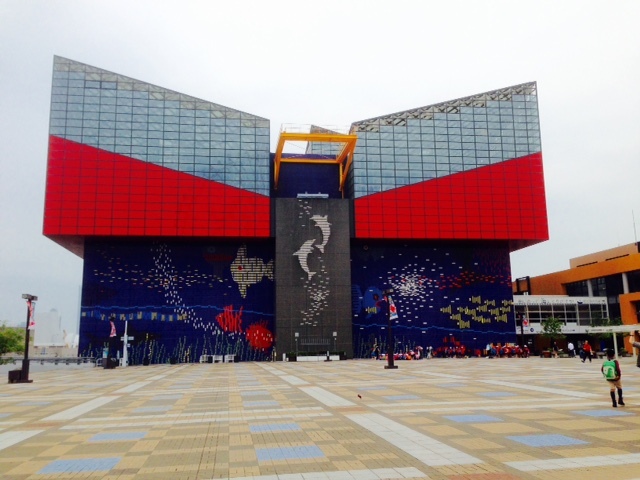 Our morning was awakened by the little rascal who felt so elated to go for his outing to Osaka Aquaraium (Kaiyukan). We began with a yummy and yet sinful treat at Malebranche, the ultimate Kyoto patisserie in Kyoto station (in my opinion). 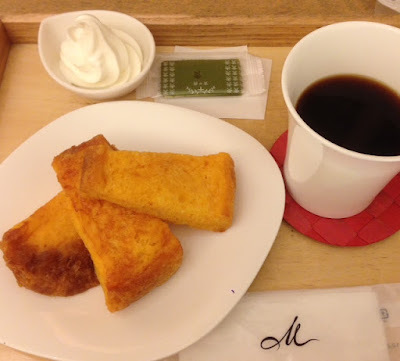 We ordered its breakfast set that came with thick and sweet Japanese french toast with a small serve of vanilla ice cream. A piece of green tea biscuit and coffee were such a perfect match in heaven! From Kyoto station, we travelled on JR line to Osaka station using Kansai pass. 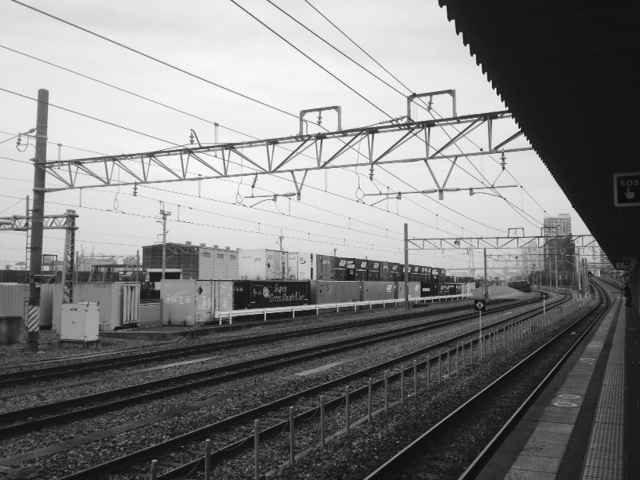 Then, transferred to the JR loop line and stopped at Bentencho station. Hopped onto subway Chuo line which would bring us to Osakako. 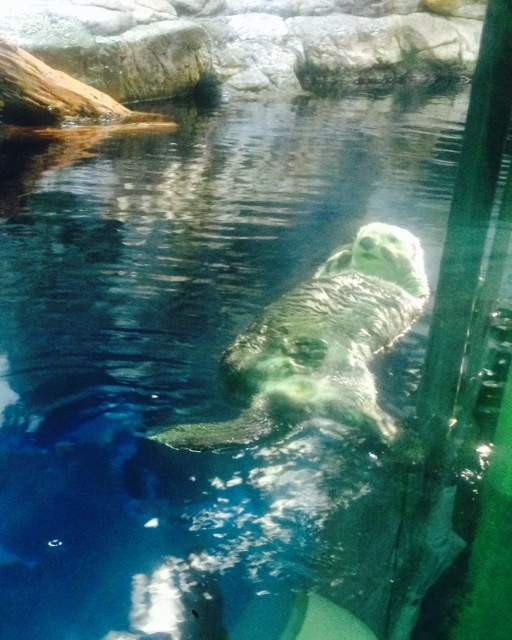 There were plenty of sign posts providing directions to the aquarium. From a distance, we could see the giant ferris wheel. As we walked towards it, there was a huge giraffe made of lego brick beckoning. Nay, we did not go for the ferris wheel. Instead, we turned left and continue our destination. As we approached, I was blown away by the impressive colourful mosaic façade. The Osaka aquarium was one of the biggest aquarium that housed tropical marine life to arctic animals, It was therefore, very popular with Japanese pre-schoolers and school children alike. Interestingly, Osaka aquarium's habitants conceptualised on the theme of Ring of Fire. 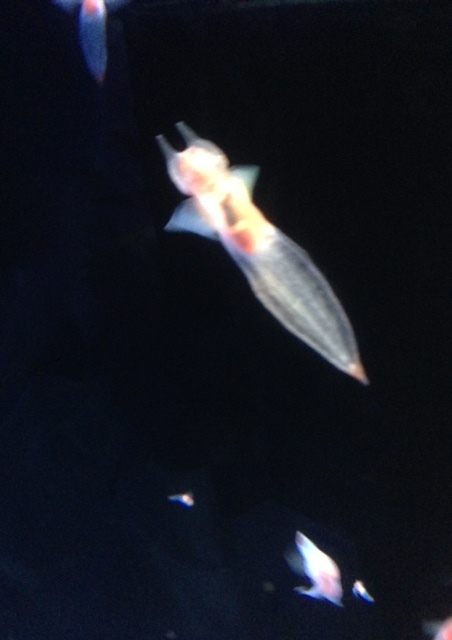 A walk through the aquarium led us to different habitants on the ground down to the bottom of deep sea which the latter was our favourite. I love its large touch pool area where kids could get really close to shark and sting rays. 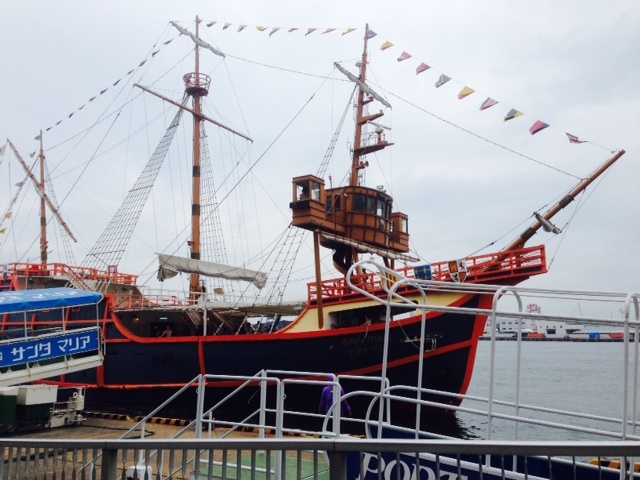 The day trip wrapped up with a slow and relaxing cruise on the ship, Santa Maria. At this point in time, it started to rain. More gancha po (capsule toy) for the boy too! We had been snacking a lot from takoyaki (octopus ball), corn dogs, churros, and french fries. And we continued munching at the Kuromon market (黒門市場). Local dishes such as takoyaki and okonomiyaki were originated from Osaka. However, monjayaki was a specialty in Kanto region which ironically we found it here. Since we were familiar with takoyaki and okonomiyaki, we tried monjayaki instead. Equally delicious but I could not distinguish the difference between okonomiyaki and monjayaki ;P Back home, it was so expensive to eat good sashimi. Papa, of course, would not want to miss the chance to eat here. A packet of fresh tuna sashimi cost only 980 yen (exchange rate was approximately SGD0.01+/Yen 1 then)! Similar to Nishiki market Kyoto, it was another seafood paradise. We were so well fed throughout the day that we grabbed a quick bite at seven eleven at night upon return to hotel in Kyoto. At the same time, we were dead tired because we took the wrong local train (普通, ) which stopped at every station instead of Rapid (快速) or Special rapid (新快速) service train.